Own a Ford Focus RS? worried about the standard / factory security… You should be these Focus RS vehicles have been getting stolen all over the UK due to the keyless entry and the OBD port can be accessed to upload a new key into the vehicles ECU / BCM unit. Pandora have released perfect software for this vehicle, and by perfect I mean it really is! A simple press of the lock / arm button on the Pandora remote will arm the Pandora alarm and activate deadlocking and also arm the Ford alarm at the same time. 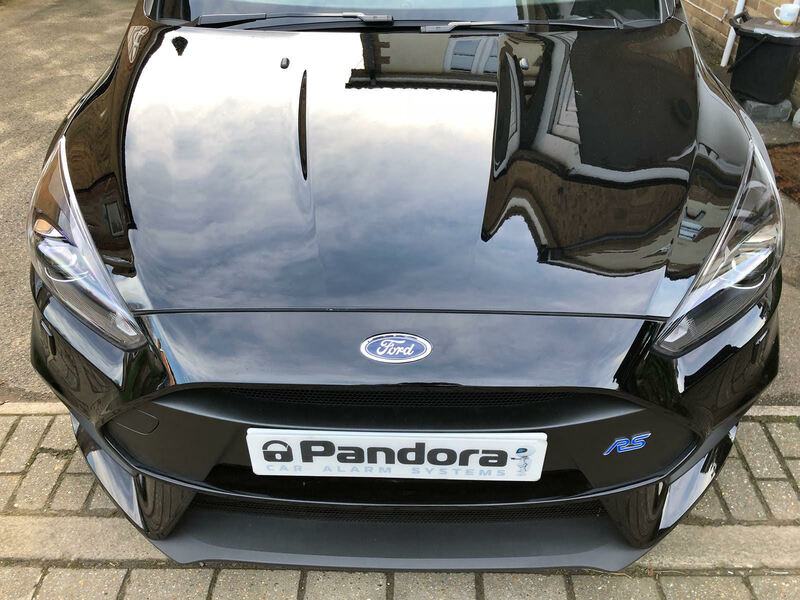 The Pandora uses a secure immobiliser / disarm tag in order to disarm the system if you wish to enter the vehicle via the Ford remote or keyless entry via the cars handles. The Pandora system offers excellent protection via it’s many on board sensors. Such as Tilt and motion to protect the alloy wheels and if your car is being towed away. It also features on onboard shock sensor which is dual zone meaning it can alert you to a light impact via warn away chirps or it will fully sound / trigger from a harsh impact. The doors, boot and bonnet are all detected via the vehicles can-bus network meaning no new switches need to be installed. The Pandora light pro feautres an OLED remote control giving you complete control over your vehicle. Such as checking to make sure you have locked the vehicle, any alerts such as warn away or triggers will be sent instantly to the OLED remote control. The range of the 2 way remote is up to 1.5 miles, this is by far the most advanced on the market today. If you would like a Pandora alarm system fitted to your Ford Focus RS or ST why not give us a call on 07525 068291.